WASHINGTON - Fiat Chrysler Automobiles NV said on Thursday it will recall 570,000 SUVs for fire risks in two campaigns linked to problems with vanity mirror wiring and a low-pressure hose. Fiat Chrysler’s recall comes at a time when its safety efforts are under scrutiny from U.S. regulators. Earlier this month, it agreed to pay another $70 million in fines for failing to report vehicle crash deaths and injuries since 2003. The Italian American automaker said on Thursday it is recalling 477,000 2011-2012 Jeep Grand Cherokee and Dodge Durango SUVs after the U.S. National Highway Traffic Safety Administration opened an investigation in May to determine if vehicles serviced in a prior related recall were at risk for fires. Fiat Chrysler said overheating was reported in 0.02 percent of vehicles serviced in the previous recall. Fiat Chrysler said if the recall procedure was "not followed precisely, may leave vehicles susceptible to a short-circuit, creating a potential fire hazard." Dealers will secure wiring in the overhead lining of the SUVs with a new adhesive. Fiat Chrysler also said it was recalling 93,000 2015 Jeep Compass and Patriot SUVs to inspect and in some cases replace a clamp that secures a low-pressure return hose. The company said clamps in some vehicles produced during a five-month period this year may be out of position, which could allow rapid loss of power steering fluid - a fire hazard. Owners may also have trouble steering. The recalls cover about 413,000 SUVs in the United States, 32,000 in Canada, 16,000 in Mexico and 108,000 outside North America. Fiat Chrysler said it is not aware of any related injuries or crashes connected to either new recall. NHTSA earlier this month said Fiat Chrysler's failure to report crash deaths and injuries since 2003 stemmed from problems in its electronic system for monitoring and reporting safety data, "including improper coding and failure to account for changes in brand names," rather than intentionally withholding information. 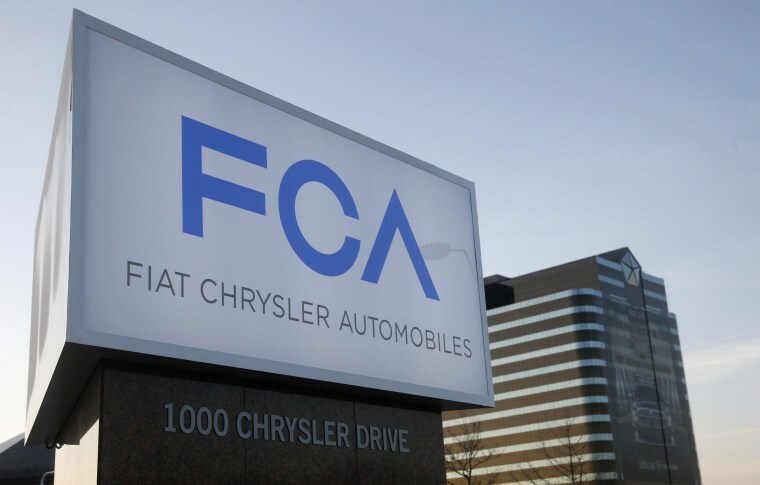 In July, Fiat Chrysler agreed to a $105 million settlement for mishandling nearly two dozen recall campaigns covering 11 million vehicles, including a $70 million fine. It agreed to a three-year consent agreement and monitoring by former Transportation Secretary Rodney Slater. Fiat Chrysler has recalled around 12 million vehicles this year in the United States in more than 40 separate recalls, a record for the automaker.